Brandy studied at the University of Texas at Austin for undergraduate and graduate coursework. She graduated with a Bachelor’s degree in English and a Master’s Degree in Communication Sciences and Disorders and holds a Certificate of Clinical Competence (CCC-SLP) from the American Speech Language and Hearing Association (ASHA). Brandy went back to school to complete a second masters degree in Autism and Developmental Disabilities and completed the requirements necessary to sit for the Board Certified Behavior Analysis exam. She is now a certified behavior analyst and speech therapist. After working in a variety of classrooms, she decided to specialize and work primarily with children with autism–working in self-contained and inclusion classrooms in the public school system as well as in several private clinics in the Austin area. The public school classrooms were based on ABA principles, and Brandy learned to collaborate with the teachers and incorporate ABA teaching styles in her own language therapy. 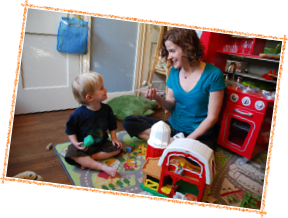 In addition to traditional speech therapy, Brandy has led several types of groups, including mommy/daddy and me, social thinking, and play groups. She has clinical expertise in assessment and treatment of language delay and disorders; communication therapy for children with autism and training for their families and the professionals who work with them; assessment and treatment of fluency, articulation, and voice disorders; and in the programming and implementation of voice output devices.